MicroGEM is a biotechnology company with the vision to democratize molecular biology through integration of sample preparation with advanced microfluidics. Our goal is to create portable devices that carry out molecular assays anywhere. The first step is to master the simplification of DNA extraction. We have achieved this using temperature-controlled enzymatic extraction (TCE). As a bridge to these future integrated devices, MicroGEM has commercialized the first component—the PDQeX Nucleic Acid Extractor. This device uses a radically different approach to DNA extraction compared with current laboratory methods. It harnesses activities from a range of enzymes isolated from extremophiles and mesophiles, and couples thermoresponsive plastics to extract DNA and RNA from a wide range of samples. Further, no harsh solvents and no centrifugation steps are needed. The PDQeX is a three-component system combining a powerful enzyme-driven extraction chemistry  with an innovative extractor cartridge  and a temperature control unit . 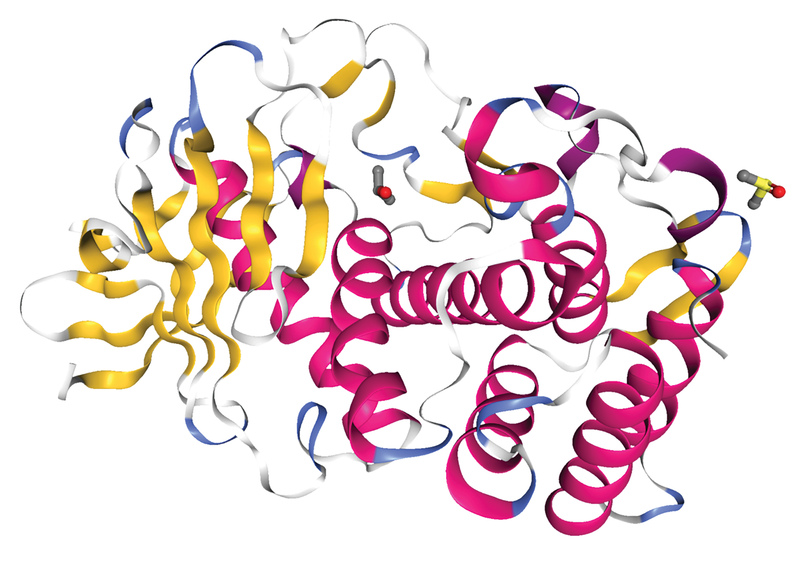 The extraction chemistry uses a novel cocktail of thermophilic proteinases and mesophilic cell wall degrading enzymes that systematically lyse cells, destroy nucleases, digest proteins, and release nucleic acids. The extractor cartridge, made from thermoresponsive polymers, not only facilitates extraction but also removes enzyme inhibitors from extracts. The temperature-controlled extraction is performed in a chamber at the top of the cartridge. The temperature used to activate the proteinase also leads to a pressure increase in the closed tube and shrinkage of the chamber, forcing the extract through a heat-burstable valve and a proprietary purification matrix housed at the bottom of the cartridge. The purification segment removes cell debris, inhibitory polyphenols, and polysaccharides. This single-step closed system allows for rapid, hands-free preparation of DNA without the danger of cross contamination. The simplicity of the PDQeX system leads to notable advantages over other commercial extraction methods. First, the PDQeX extraction takes significantly less time than other methods, just 5 to 15 minutes compared with 2 hours to overnight. Most of this processing time for the PDQeX is hands-off. 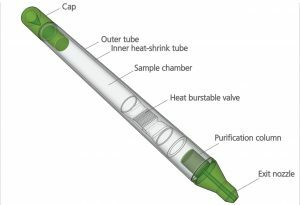 Once a sample is added to the PDQeX extraction cartridge, it is simply incubated with no further manipulations required. Second, by reducing handling and pipetting steps, the PDQeX is easier to use and reduces the potential for error. Whole-genome sequencing is critically dependent on the quality of the DNA sample. The PDQeX Nucleic Acid Extractor provides that easily, quickly, and reliably. The enzyme system at the heart of this chemistry is prepGEM™, a reagent used extensively for DNA extraction in CRISPR workflows. It has become a gold standard for the extraction of nucleic acids from single cells for library preparation in NGS. In single-cell analyses, reaction volumes can be kept small, and because the process is carried out in a single well, the amount of DNA recovered is maximized. MicroGEM offers a wide range of extraction kits utilizing cocktails of enzymes to work with the most difficult sample types including tissue, bacteria, insects, sperm and plant stems, leaves, seeds, and roots. Learn more about this enzymatic approach to sample extraction at www.extractwithus.com. suitable for NGS workflows from bacterial cultures using the PDQeX. BioTechniques. doi:10.2144/btn-2019-0006.